BBC Radio: The Memoirs Of Sherlock Holmes - The Stockbroker's Clerk Review | Warped Factor - Words in the Key of Geek. 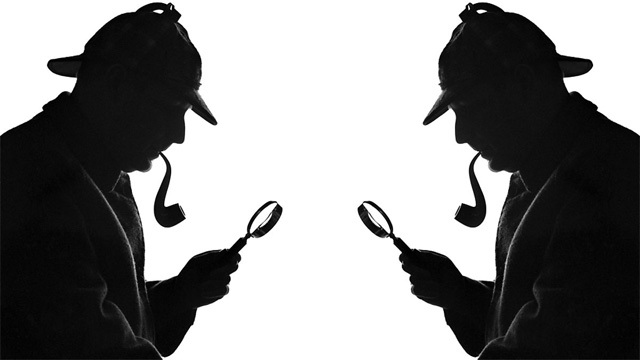 Andrew East resumes his journey through the audio adventures of Sherlock Holmes. The Stockbroker’s Clerk is an unusual mystery for Holmes, but one which was rather intriguing. A young clerk comes to Holmes when he finds himself in the middle of a puzzling situation involving a suspicious job offer and a strange employer. It’s an intriguing case and well-played by the small cast. I particularly liked the twist about the two brothers who have employed the clerk. Holmes solves the case fairly easily and there are some dramatic scenes at the mysteriously unused offices the brothers have acquired for the clerk. I rather like the pointless, yet lengthy tasks the clerk is given to keep him busy, and the final discovery of one brother cowering in a small room having realised the plan has gone awry is dramatised well. What is a little disappointing is the fact that the reason for the subterfuge all happens off ‘screen’ back in London (the main action occurring in Birmingham). As is sometimes the case with audio the audience has to be told information rather than ‘shown’ which does lead to a slightly unsatisfying ending. One interesting aspect of the story is the vaguely anti-Semitic attitude of some of the characters. The two brothers are described, and performed, with a ‘Jewish edge’ and this would, admittedly fit with the sort of trade the Jewish community were known for in the 19th century. I do wonder how much, of it at all, the comments of the characters has been toned down for modern ears or whether this was a consideration the actor playing the main brother took on board when choosing a voice. Overall an unusual and interesting case, although one which doesn’t leave a huge amount to say about it for a review!